This March, we will be in Iowa educating Midwestern lawmakers on the pitfalls of Step Therapy, and we need you there. Step Therapy, also known as “fail first,” is a tool used by health insurance companies to control the order in which a patient takes certain medications approved for a given condition. In other words, a patient must fail first on one or more medicines chosen by their insurer before coverage is granted for the drug prescribed by that patient’s healthcare provider. When it comes to treating psoriatic disease, step therapy is used approximately 50 percent of the time. In fact, according to a recent study, roughly 67 percent of patients had to “step through” another medication before receiving the one prescribed by their physician. Even worse, they did not receive an alternate drug within 30 days, which puts the patient at significant risk for disease progression. At the National Psoriasis Foundation, we are fighting to improve your access to care by taking a stand against a step therapy, and we need your help! We are working on legislation that ensures that step therapy protocols are safe for patients. NPF and other organizations have already passed successful step therapy legislation in Arkansas, California, Connecticut, Illinois, Indiana, Kansas, Kentucky, Louisiana, Maryland, Missouri, Mississippi, New Hampshire, New Mexico, New York, Oregon and Texas. And now we are working to pass a step therapy bill in Iowa. Next month is Fail First February, and we are inviting advocates, patients and providers to join us on March 15 for our Iowa Fail First Lobby Day, which we’re hosting in conjunction with the Iowa Medical Society and the Arthritis Foundation. We are offering a limited amount of travel scholarships to this important event. 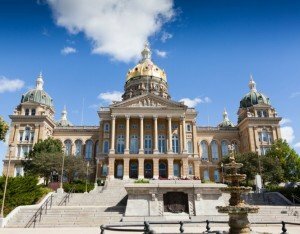 If you are interested in educating Iowa lawmakers on your experience with step therapy protocols, please contact our state government affairs manager, MaryAnn McCabe at mmccabe@psoriasis.org.